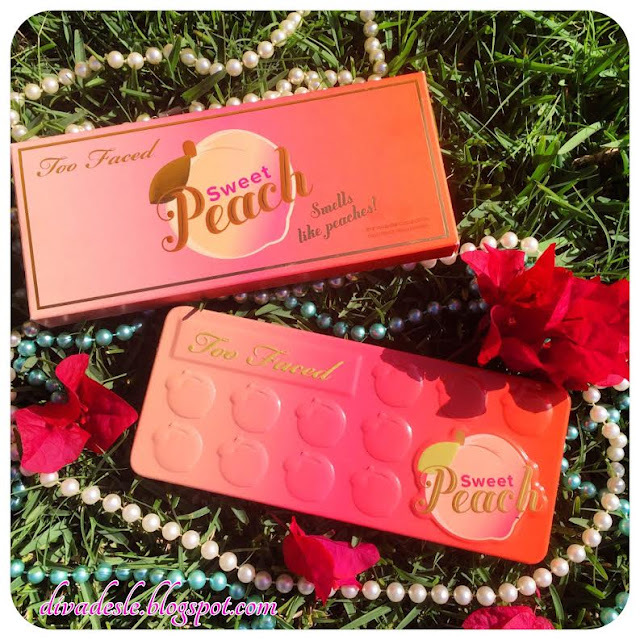 The Sweet Peach palette is one of the most major makeup releases for 2016. It is a limited edition palette by Too Faced that has been selling out like hot cakes in stores all over the USA. So what is all the hype about? Well the packaging is one of the prettiest and cutest things that Too Faced as ever put out. Plus there are a whopping 18 eyeshadows that all suppose to smell like juicy peaches. Now I truly love peach anything! Fresh peach fruit, canned peaches with cream, sweet peach juice and peachy lip balms are all my jams! When I had this product in my possession I was dancing in my room like a crazy person. The packaging is absolutely stunning! It comes in a similar case as the other palettes in the Too Faced Chocolate Bar family. I measured it against the original chocolate palette which I own and it is exactly the same size in width and length. The original has 16 eyeshadows and the sweet peach has 18. Unlike the original palettes with the chocolate block engravings, the sweet peach has mini peaches engraved on the palette and a orange colour which fades from coral, to pink to a light peach shade. So super duper cute! As I said the palette comes with 18 eyeshadows in a variety of colours. There are so many options to choose from ranging from light to dark, matte to shimmer and stunning satin shades. Each eyeshadow has a strong sweet peach scent. It does not smell like the original peach fruit. Rather it smells like a peach sweet or peach bubblegum. I personally love the scent and sniff it at every opportunity I get. Even as you apply the eyeshadows the scent lingers on your makeup brush and I absolutely love it. It makes applying my makeup so much more pleasant. The palette comes with a mirror which would be perfect for travel!I just love the packaging of this palette and it has become my favourite in my makeup collection. It is so pretty to look at and a delight to work with. There are 6 matte shades which are White Peach, Peaches N' Cream and Georgia in the light coloured family ranging from white to pink. Then there are Puree, Summer Yum and Charmed I'm Sure in the brown colour family which have taupes and copper brown shades which are perfect to use in the crease. There are 8 shimmery shades with a touch of satin texture. These consist of Nectar, Luscious, Cobbler, Just Peachy and Bellini which are in the peach colour family. They have gold and coral tones ranging from light to dark pink. Bless Her Heart which is a gorgeous olive green, Caramelized a warm satin brown and Peach Pit a brown shimmer shade with a hint of warm purple. These 8 eyeshadows are perfect lid colours. The rest of the four shades have a matte finish with speckled gold glitter in them. These are Candied Peach a vibrant coral shade great for the crease, Tempting a dark black, Delectable a dark purple and Talk Derby To Me which is a dark navy blue almost black shade. The eyeshadows are very pigmented and blend effortlessly on the eyes. There is some fall out which happens in the pan when picking up the pigments with a brush. Although once applied on the lids it never fades or falls away. Too Faced knows how to make beautiful opaque shadows and this palette does not disappoint. What I love most about this palette is that there is so much variety. 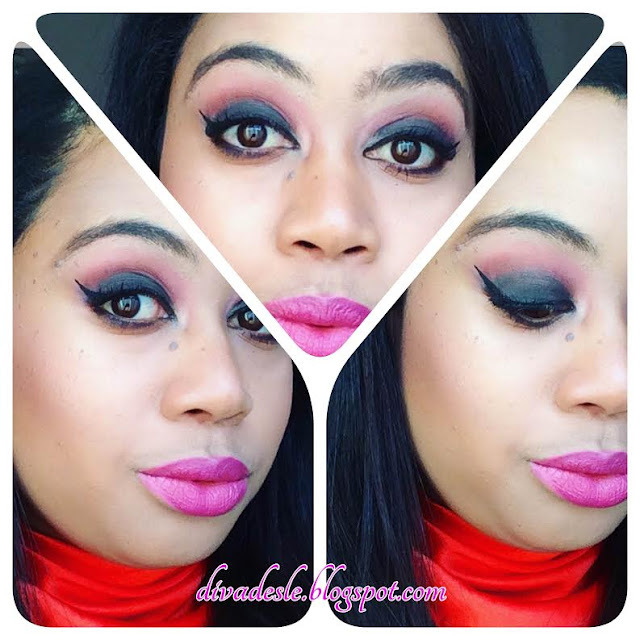 You will never get bored in creating new looks as the eyeshadow colours are very versatile. In the original chocolate bar palette you are limited to brown and gold looks whereas with this palette you can go crazy with options. With the original chocolate bar there are only 4 proper satin lid colours. In the peach palette there are 8 gorgeous lid shades to choose from. I adore the colour range as the bright corals and warm pinks are right up my alley. Now, I won't be doing any swatches in this blog post as there are a ton of them on YouTube and other websites. Just Google Sweet Peach and the swatches will appear on your screen in a jiffy. Instead I want to show you some looks I did with the palette and how versatile the eyeshadows are. I have created three looks. One ranging from a soft everyday look, to a romantic out the box look and a diva glam night out look. For this everyday bright makeup look I used White peach under my brow bone, the light pink Georgia shade as my transition shade, the deep coral shade Candied Peach in my crease and the copper brown colour Summer Yum on my outer lid corners. For the lids I used the beautiful Nectar shade for soft golden eyes. I did a dramatic wing to add glamour to the look but for a everyday work look you can skip the winged liner and just had mascara. For this look I used White Peach under my brow bone, the light skin tone shade Peaches N' Cream as my transition shade and the clay brown Puree in my crease. For my lids I used the shade Bless Her Heart which is a gorgeous olive green satin eyeshadow which is a welcome surprise to the palette. This eye makeup is whimsical and delightful. It would be perfect for a date. This is a ''I am a Diva!'' and ''I Slay All Day!'' look. I used Peaches N' Cream under my brow bone, Georgia and Candied Peach as my transition shade and the deep purple Delectable in my crease. For my lids I vamped it up with the deep navy blue colour called Talk Derby To Me. 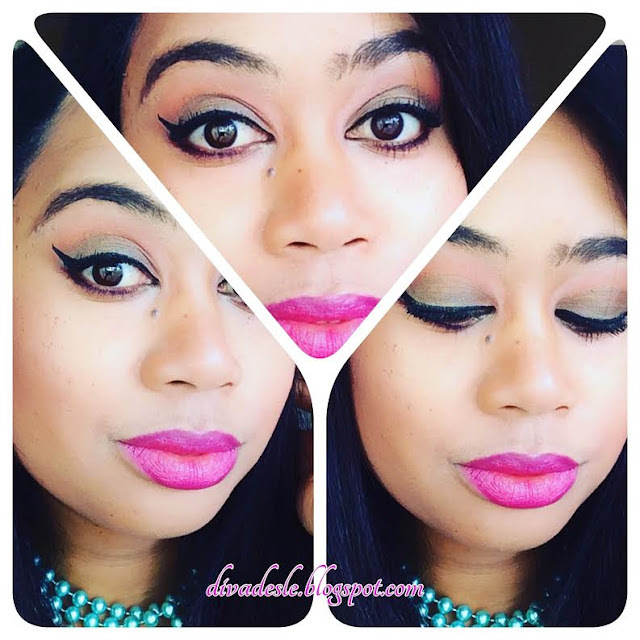 I dragged Delectable and Talk Derby To Me on my lower lash line as well. I cleaned up the look with concealer and added some winged liner. Thank you so much for reading, Beauties!!! Let me know which makeup look you liked best in the comment section below. Suuuuuuch a pretty palette! Really loving all the shades, and I'm seriously contemplating getting the palette. 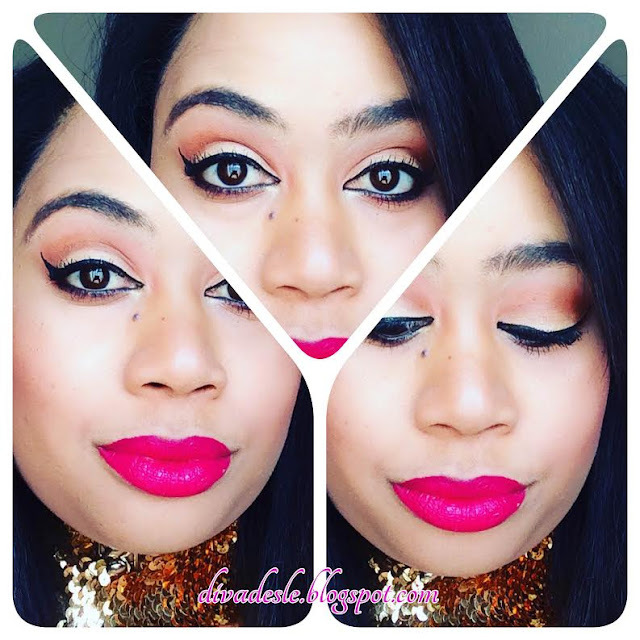 Love the looks you created, you look fabulous in pink lipstick! 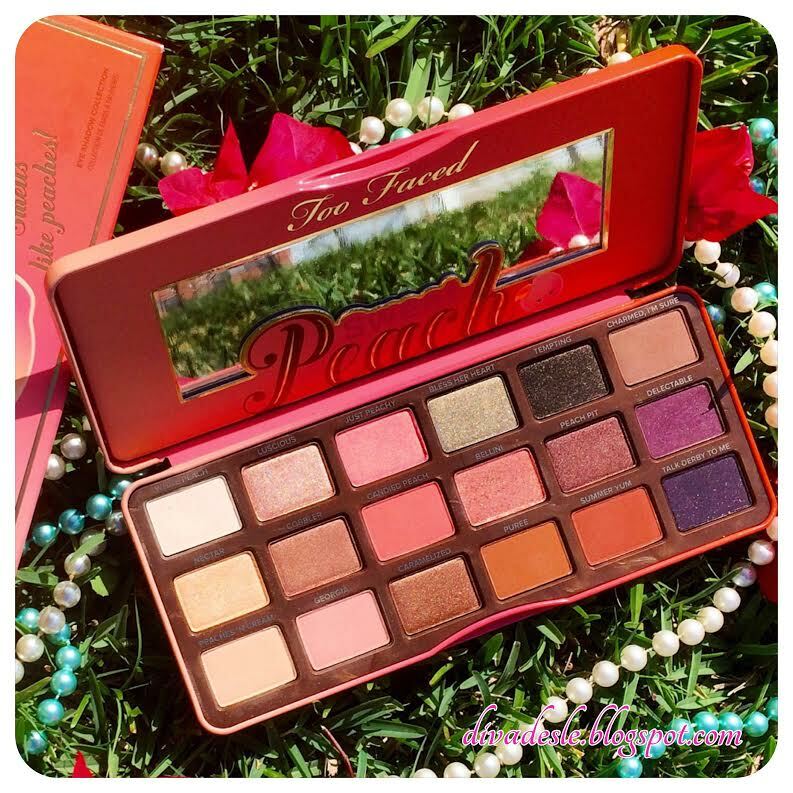 I didn't get this palette but I do work closely with Too Faced and their shadows are always pigmented and pretty! I wasn't sure the color range had enough differentiation from the previous palettes but there are a few shades I'd love to have. Very detailed review!